More Transformers toy goodness coming to you now! 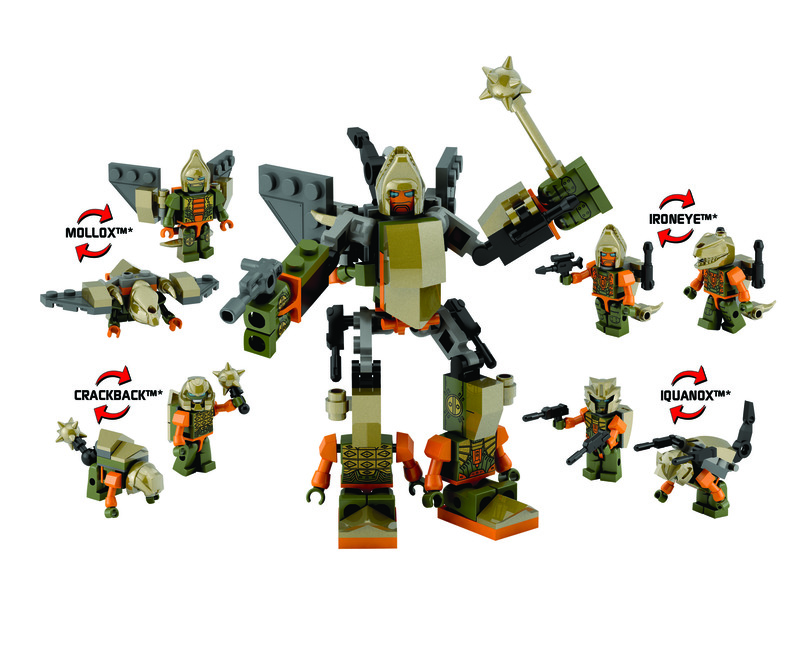 Hasbro has sent us official images of the not-cancelled-after-all Kre-O Transformers series. 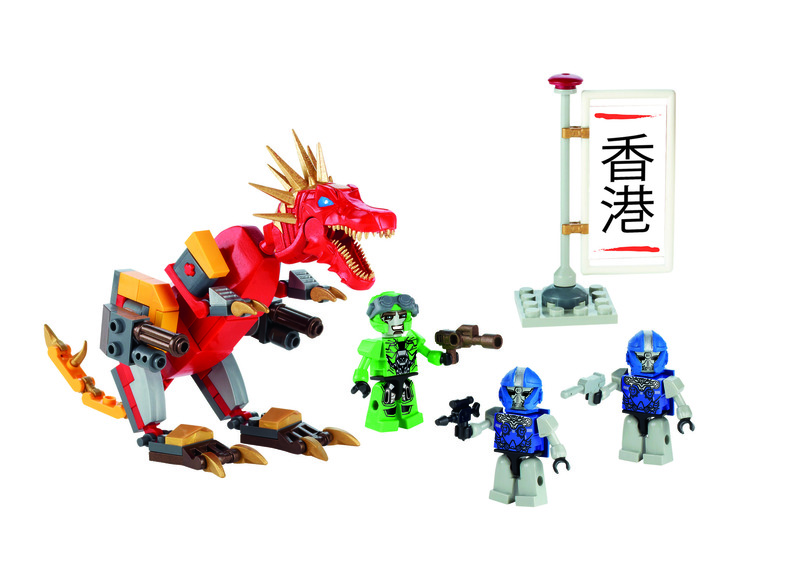 These Age of Extinction Kre-Os are now moving in a different direction to the earlier Kre-O sets and are focusing primarily on Kreons – the build sets, for example, consist of Kreons with buildable Dinobots or smaller bases, with the Lockdown Air Raid set giving us a buildable spacefighter craft that seats a Kreon. 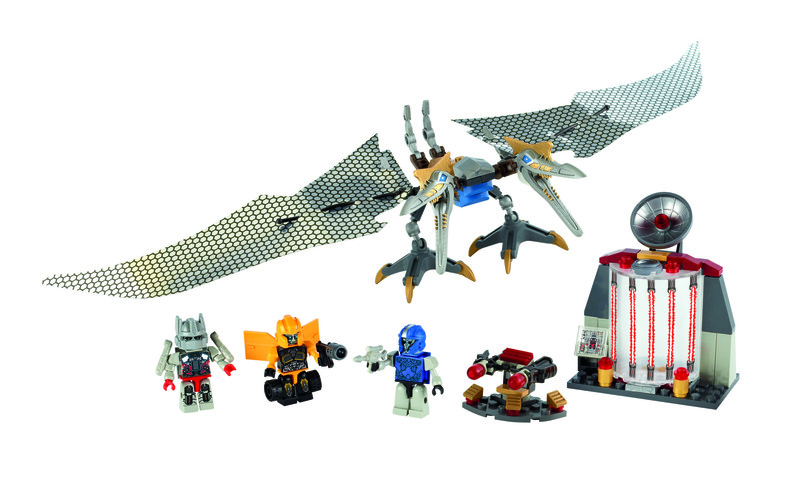 That’s not all though as these new official images include a look at the four new Age of Extinction custom Kreons, the four new Age of Extinction combiners, and the fifth wave of Kreon blindbags – which, while advertised in the files as movie sets, are very much still Generation 1 inspired and include Kreon minifigures of the likes of Jetfire, Mindwipe, Nightbeat, Dead End and Highbrow! 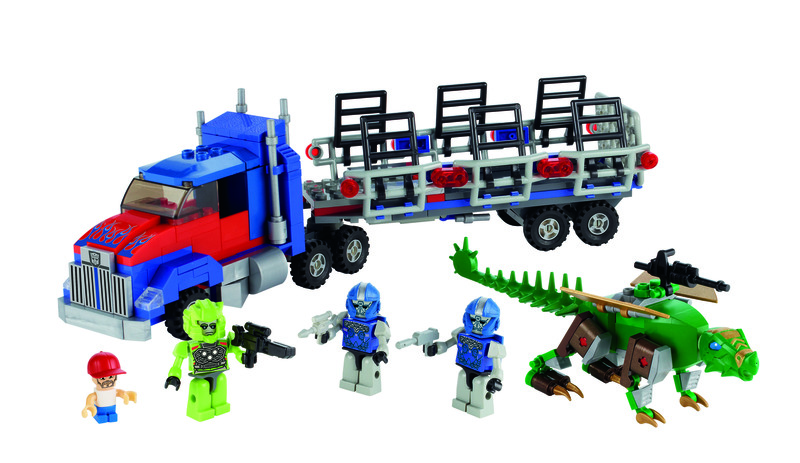 “Movie series” Micro Changers – 12 different ones shown, some of whom may be new characters to go with the new Kreon Combiner sets. The names have been confirmed as (left to right) Wingspan, Fangwolf (based on Cybertron Snarl), Jetwash (based on Generation 1 Jetfire), Silversnout, Misfire, Mindwipe, Nightbeat, Trypticon, Jarugar (from Transformers Victory), Highbrow, Torosaur and Skrapnel. Looks like these just started showing up on eBay from taiwan sellers. Hopefully this means it wont be too long before they hit TRU shelves. Anyone want to venture a guess as to Torosaur's allegiance (hero or villain)? He's the only one that has no distinguishing marks, and appears to be an original character. Not gonna lie: Love all the new characters being introduced, love it. Totally okay with Cybertron Snarl being renamed to his Japanese name of Fangwolf, it means that he could co-exist with the Dinobot! But seriously, new characters! Totally fun. It gets weird and annoying to just see the same endless reuses of certain characters that have been around since 1984, and I love the idea of kids getting new favorites from these brand new guys. They're not throwaways- they're potential. Heck, today's Farside or Power Surge could be tomorrow's MTMTE Swerve or Tailgate. I should say that I adore dozens upon dozens of classic G1 guys, and I'm totally fine with updates of figures and characters, but there's a limit, you know? Anyway, yeah. Awesome awesome awesome, love that Kreos are introducing new characters and designs, even if they don't have fiction yet. I've been rather puzzled about that Sideswipe/Leadfoot figure too. Could just be an early packaging error. Custom Galvatron says "Galavatron" on all pictures, but I dont know anyone who has actually ordered and recieved one online to confirm that is truly how the packaging is. going with the theory as before. Galvatron is a grunt soldier. Galvatron factory battle, isn't the battle where they fight the Galvatron, but a factory where they make Galvatrons. 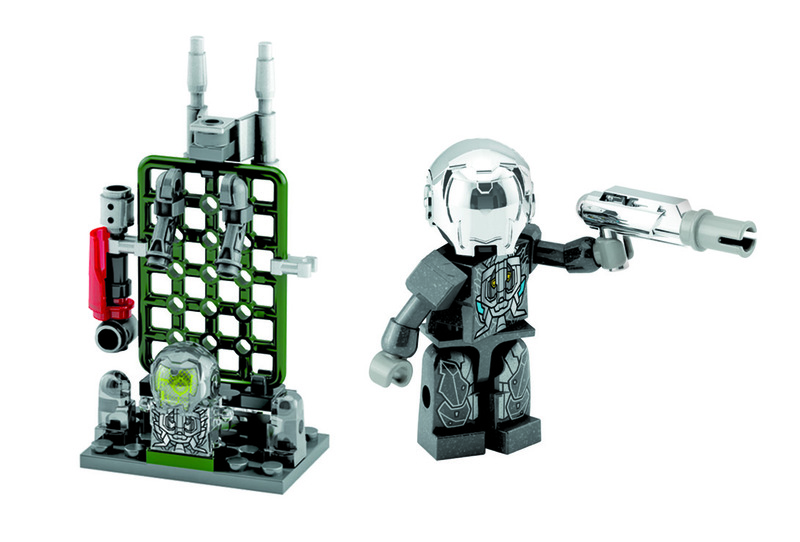 The Kre-o sets do offer a strange inside into what the movie might be about. In the Galvatron Factory Battle especially. Have you noticed the Megatron and Sentinal Prime heads seating in jars from that set? 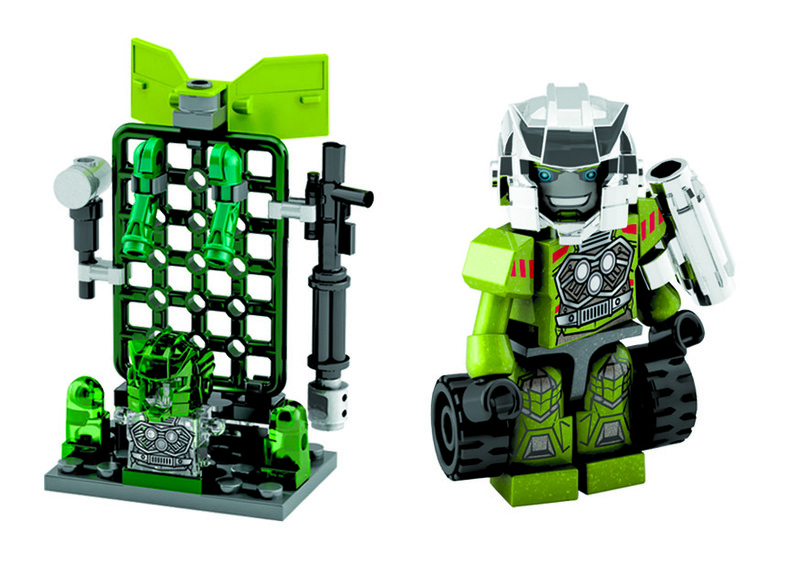 If the sets are a true inside into the movie then I would think what they are building in that factory is Vehicons since there are many of them in all the sets. Custom Kreon Drift has helicopter blades. So…is Drift the helicopter? Which would mean that the Voyager Drift listing was…the helicopter? Maybe Deadlock was a helicopter. Maybe it's actually a Voyager Deadlock. At this point I'm highly doubting the existence of a Cyclonus. 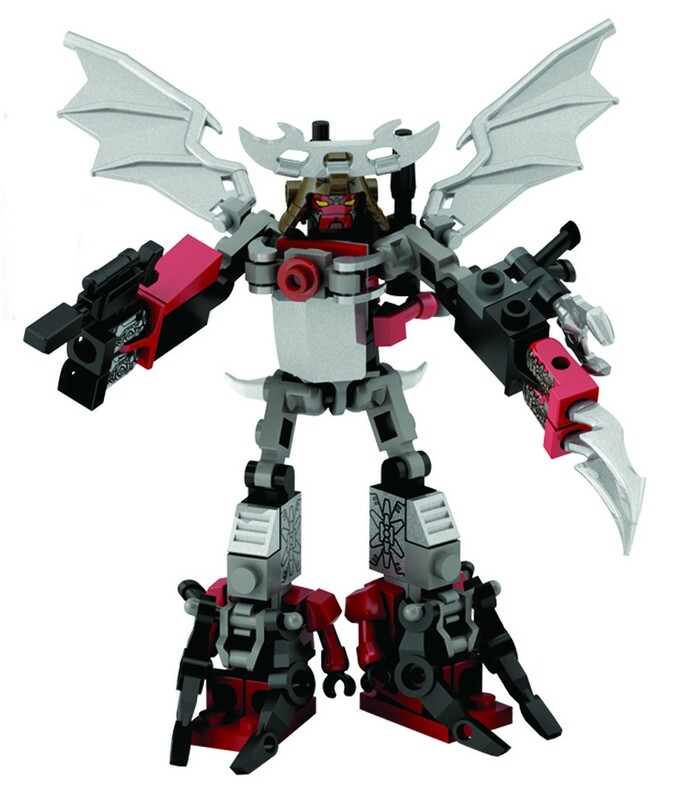 EDIT: Oh, and has anybody else realized that the "Sideswipe" in the Lockdown ship set is actually Leadfoot? Cause that's totally Leadfoot. No idea why he's called Sideswipe on the box. I'm not sure I would read to much into the helicopter blades. With the custom packs they are not micro-changers so they are not meant to transform and they always include some kind of alternative backpack thing for each figure. They don't always fit with the characters alt. mode. 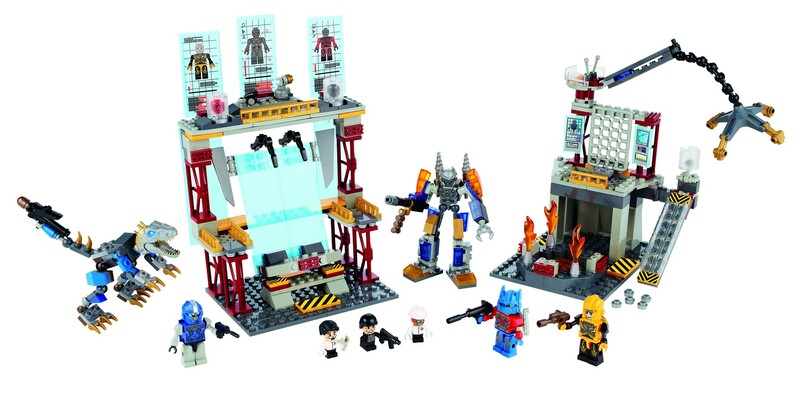 Does anyone know who the red bot (looks like OS Ironhide) is who comes with the Lockdown air-raid set? 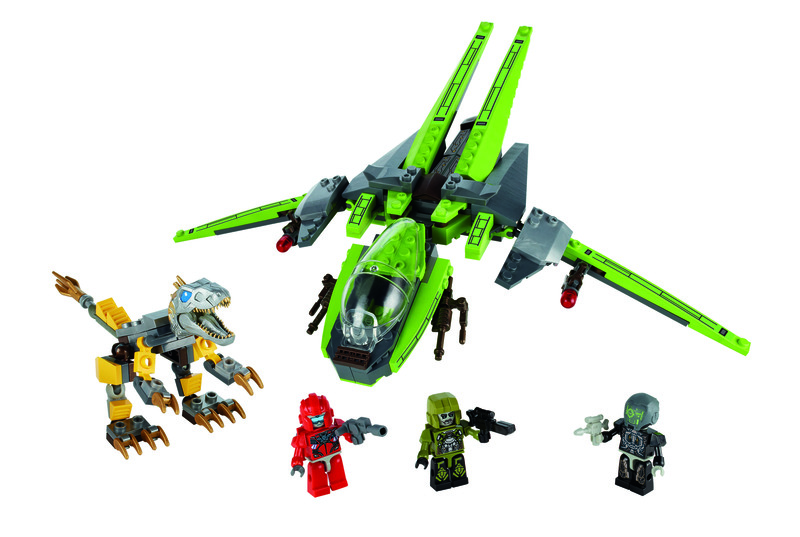 … I know the other two are Lockdown (obviously) & Hound . The packaging says Sideswipe but it looks like Leadfoot. Also, according to my count there are 43 new unique Kreons based on what is revealed in this post (excluding generic-cons & humans) anyone else get a different number? 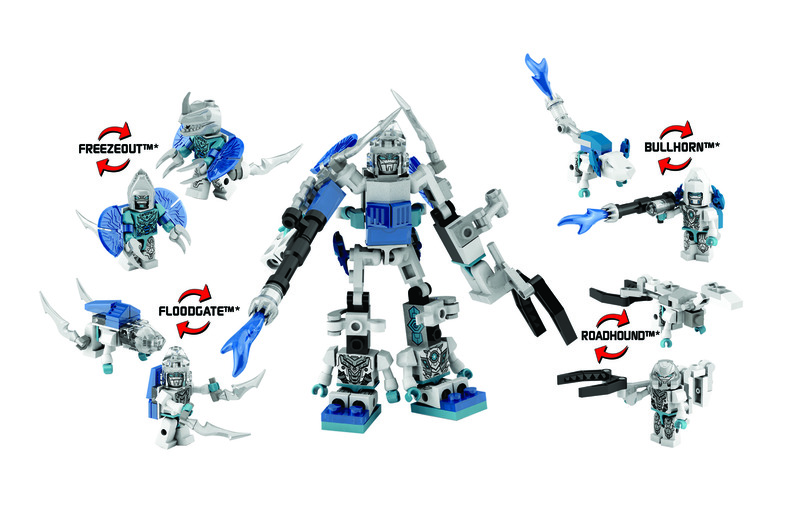 Kre-O's a weird place to add new characters. No bios, uniform team colors, standard body shape, and really abstract alt modes make it really hard to read any character in them. Agreed. 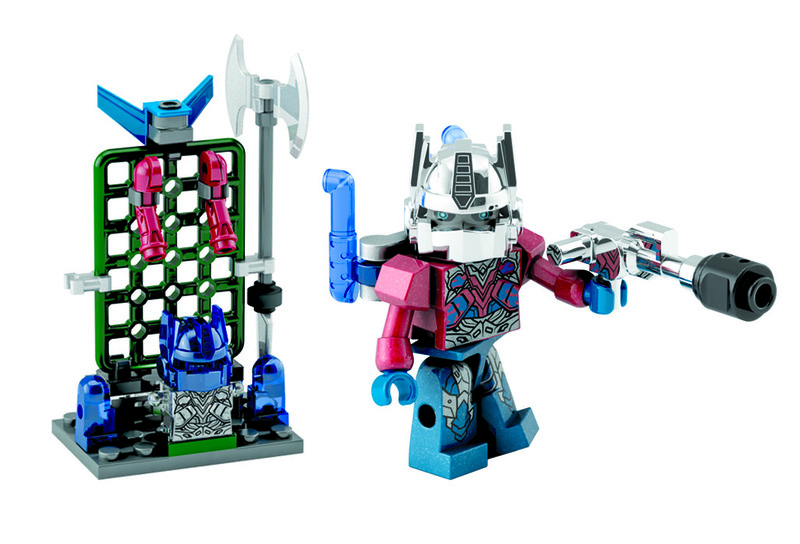 While I love my Kreons, they are very much based on the idea that they are a little super-deformed version of something I already have a mental image of. It's a little hard to get the same about of "character" out of these when they're all uniformly colored and all new names. Still, they look like a lot of fun and I'm really digging the new parts. I'm not too sure about the original combiners…I've enjoyed the G1-inspired ones, but they all start feeling the same after a while. I agree. They all do have the same skeleton after all. In a lot of ways, it's only the fact that they are classic combiners that keeps me interested. I think it's awesome to be able to own a tiny Computron for under $20, for example. But I guess it's like art vinyls and such, eventually making everything on effectively the same body has deminishing returns. 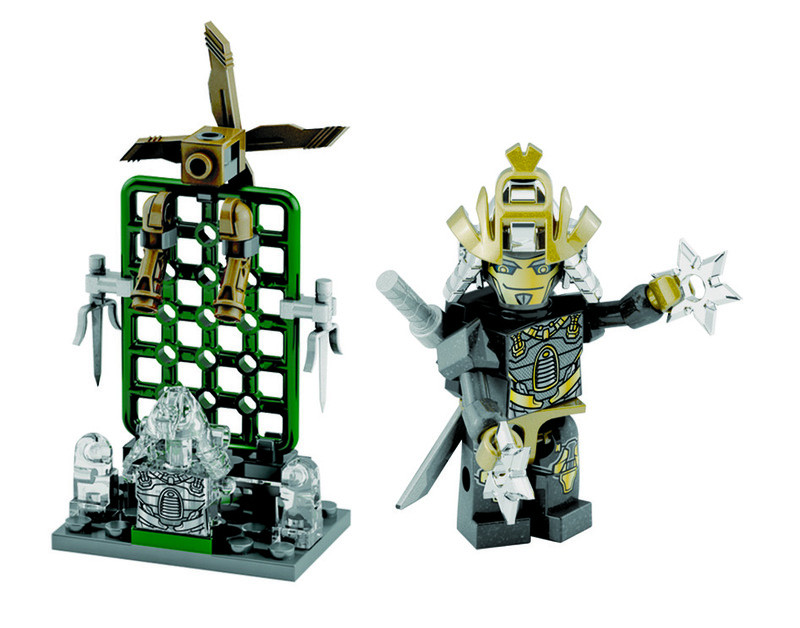 Either way, I'm stoked to see Kreons continue, and I'm super-happy to see them continuing on with more obscure 86+ characters. Let's hope it stays alive long enough to make all of Liokaiser (and let's get the 6th Seacon too ). 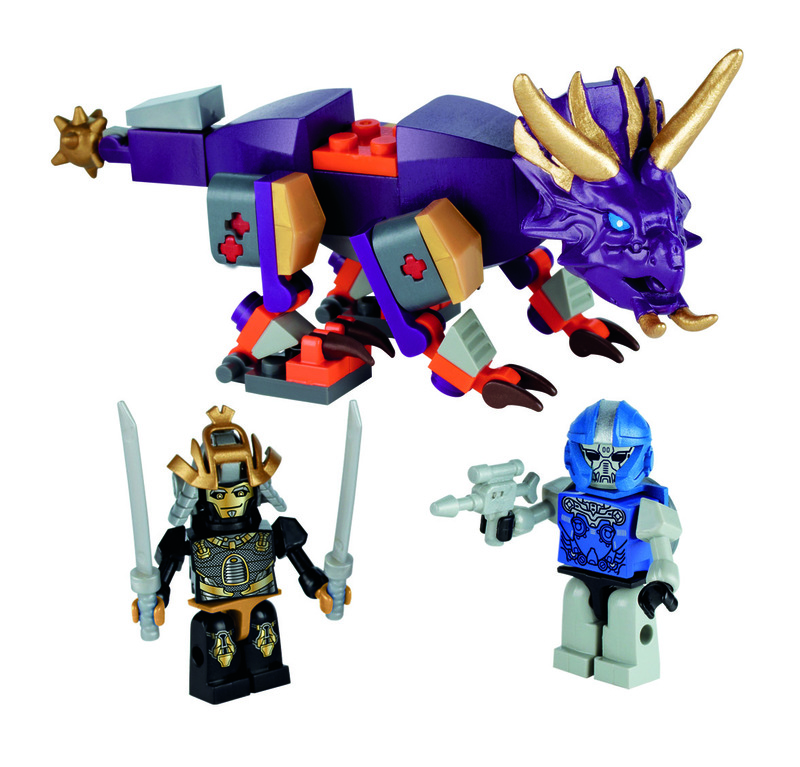 Even though the Kreo department is separate to the Transformers mob at Hasbro, someone must have done some research for Fangwolf and Jarugar (as JP toy names and forms), so how come they failed on the more obvious Hasbro Gen1 names? What your missing is that building blocks are a different category than action figures as far as name rights go. It's entirely possible for them to have the Jetfire name for a figure and have it not be free under "building blocks" so they go with Jetwash there. -ZacWilliam, and Skrapnel is not in the "wrong" colors, he's in Obsidian team colors which is very intentionally making him part of the new Combiner team. So it looks like Ratchet is there and a red dinobot i forget which is which or is that stinger?, plus the human made ones. I have never seen these combiners before? Seriously though I can see lots of people pitting him against Titan Metroplex. Am I the only one that thought Daft Punk seeing that custom Lockdown? Really not interested in these. Holy smokes what is with those creepy eyes. That's just weirding me out. Mindwipe and Trypticon though are definite wants. Need a better helmet for Mindwipe though. Micro-changer Trypticon's Dino mode is awesomely adorable. Bah he shall never unseat Myclone Trypticon of his title!!!! Silversnout = Cybertron Backstop ?? That would work if he was a tank. Although this still might be a hint at a future release. If someone else pops up in a future microchanger wave than we'll have our answer. Looking at these again, I'm surprised none of the Dinobot builds recycle the heads. 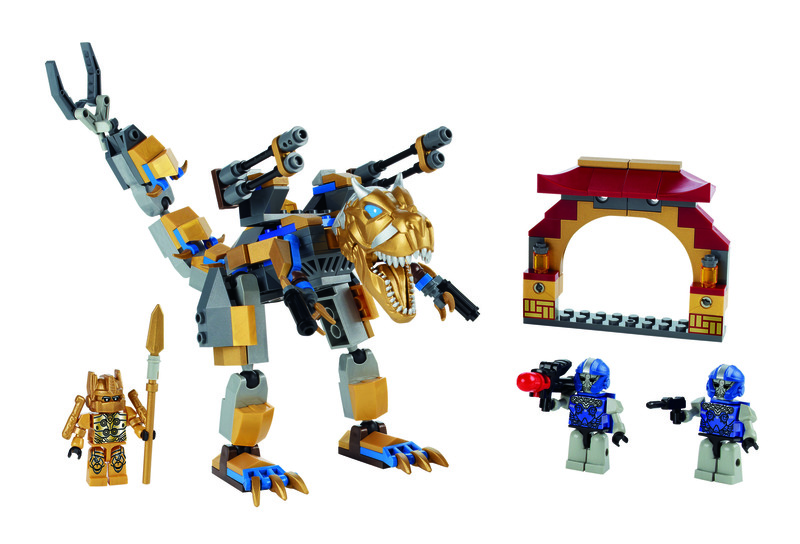 I mean, Strafe obviously reuses his own head, and I assume the grey raptor guy in the Galvatron set is the same grey raptor guy in the Lockdown one, but I'd have expected the Triceratops to be the Stegosaurus' with a frill and horns and the T. rex and Spinosaurus to share a generic therapod head and for them all to be organic enough to be reused for "real" dinosaurs (as Kre-O is supposed to be doing Jurassic Park toys). It works reasonably well as his shield. That's a pretty cool shield, actually.